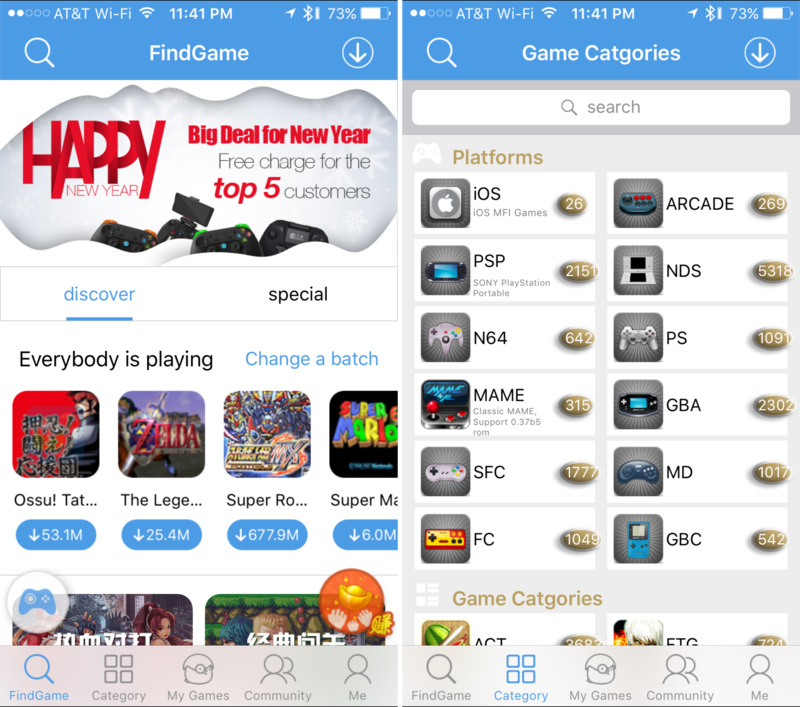 Emulators are a way to play your favorite childhood games on your iPhone, iPod touch, or iPad without carrying the game disks or cartridges and game consoles around with you. Instead, they sideload the games on your device as a piece of software, and they’re given controls that are adapted for the touch screen. In this tutorial, we’ll be showing you a method that still works to this day for getting emulators on your iOS device, and the best part is, you don’t even have to be jailbroken to do any of it. One thing you need to know right off the bat about emulators is that you should never download a game that you don’t personally own. This is because the games you can get via emulators have something called a ROM, which is a piece of software that is intellectual property and belongs to the game manufacturer. If you own the game, you’re probably fairly in your bounds to transfer that ROM over to your iPhone and play it, but for all intents and purposes, we won’t be showing you the exact process to download ROMs on your iOS device because some people may mistreat this responsibility. 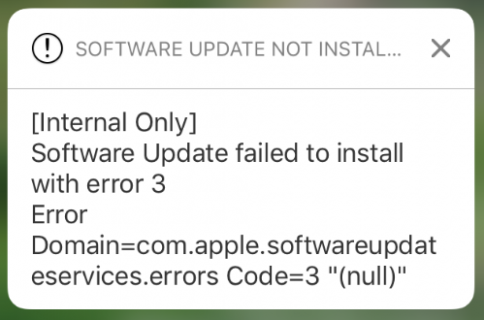 One the other hand, we’ll gladly show you how to get the Emulator software installed on your iPhone, because there’s nothing wrong with emulator software! 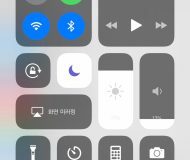 To get the emulator software on your iOS device, there are a fair amount of steps you’ll need to follow; they’re not difficult, but there are a lot of things you’ll need to do. Nevertheless, we’ll outline them for you below. 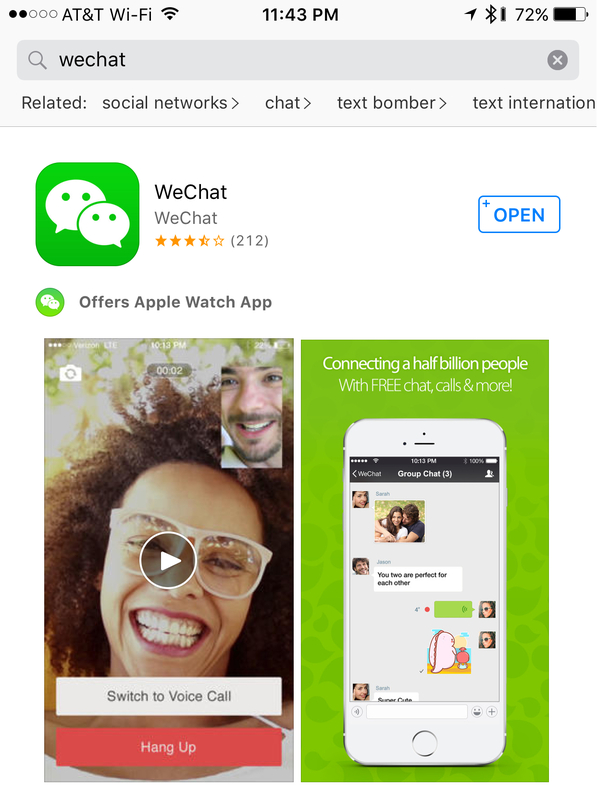 1) Download and install the free WeChat app from the App Store. 2) Launch the app and sign up using your mobile phone number, then confirm the phone number with the code you’re given. 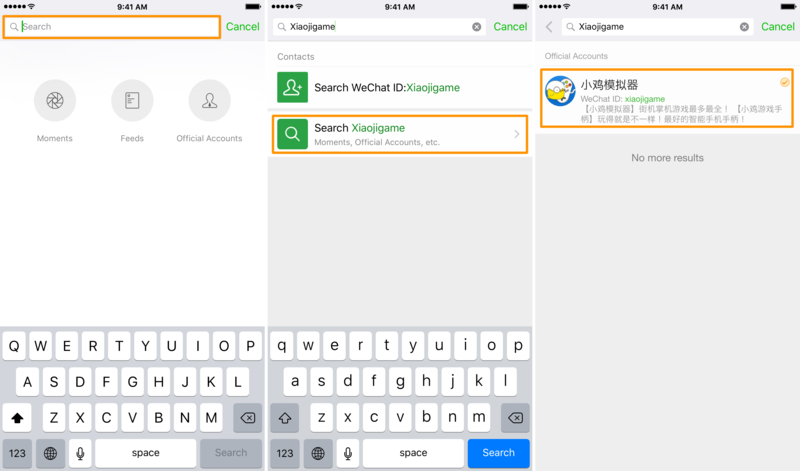 3) Once all set up, tap on the search field at the top of the app, and search for “Xiaojigame” without the quotes. 4) Tap on the user indicated in the screenshots above. The user’s name should be in Chinese. Follow this user. 5) From the page that opens up, tap on the “iOS” button at the bottom. 6) In the conversation that appears next, tap on the blue link shown in the screenshots above. It’ll be in Chinese. 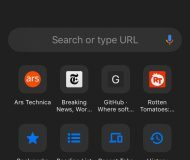 7) Once you see a dark screen, tap on the ellipsis “…” button to open a Share Sheet, and from there you’ll tap on the “Open in Safari” button. 8) Your Safari app will launch and load a webpage. From this webpage, you’ll tap on the “Step 1: Download for iOS” button. 9) When prompted, tap on the “Install” button to begin installing the emulator. 10) The emulator app will now download and install itself onto your Home screen. 11) The emulator app is called “Happy Chick” on the Home screen. 12) You will now need to trust the software, because it’s a type of Enterprise software. 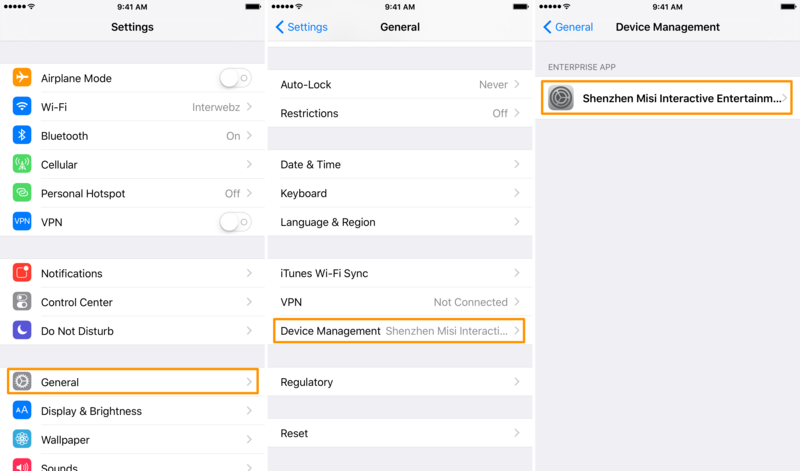 To do this, launch the Settings app and navigate to General > Device Management > Shenzhen Misi Interactive Entertainment. 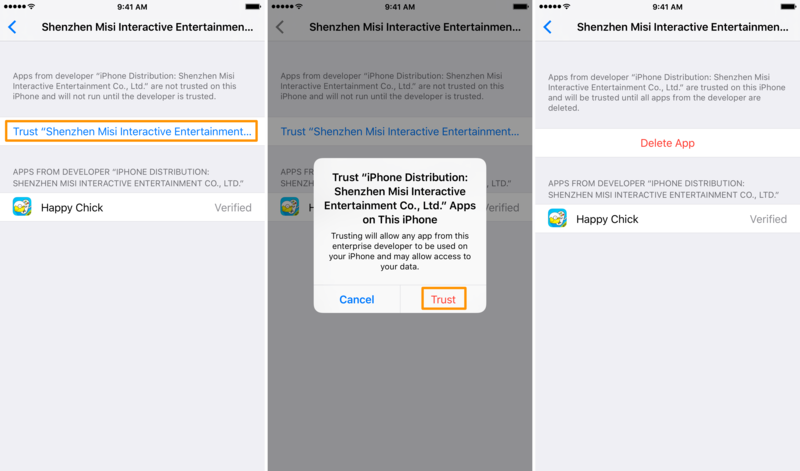 13) Now tap on the blue “Trust Shenzhen Misi Interactive Entertainment” button, then tap on the red “Trust” button when prompted. A red “Delete App” button should appear if you did this correctly, but don’t tap on that button. 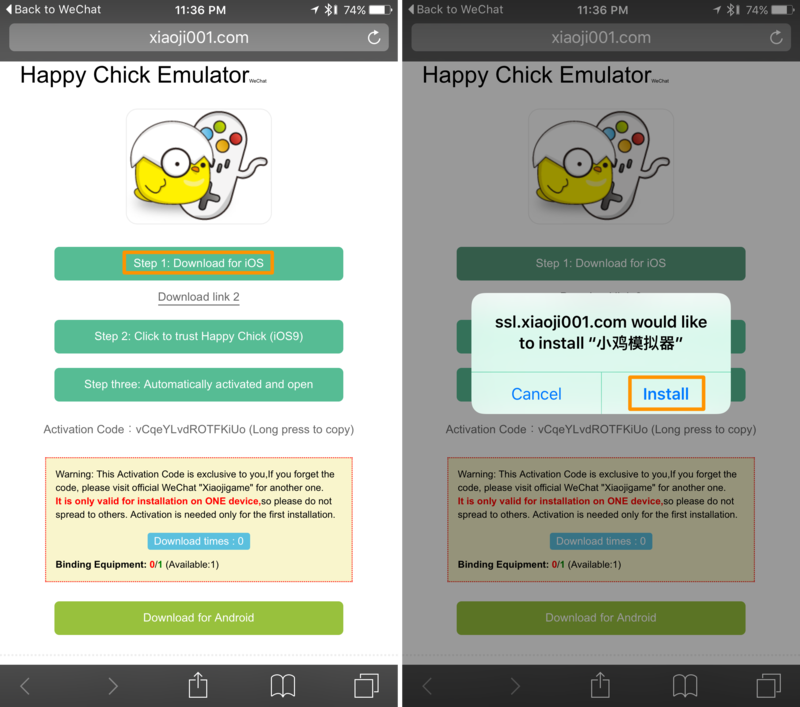 14) Now go back to the Home screen and launch the “Happy Chick” app. You can deny the app Camera and Location Services access for your own privacy. The app will ask you for an activation code. 15) Return to your Safari app where you have the webpage you were just using, and copy the activation code you were given. 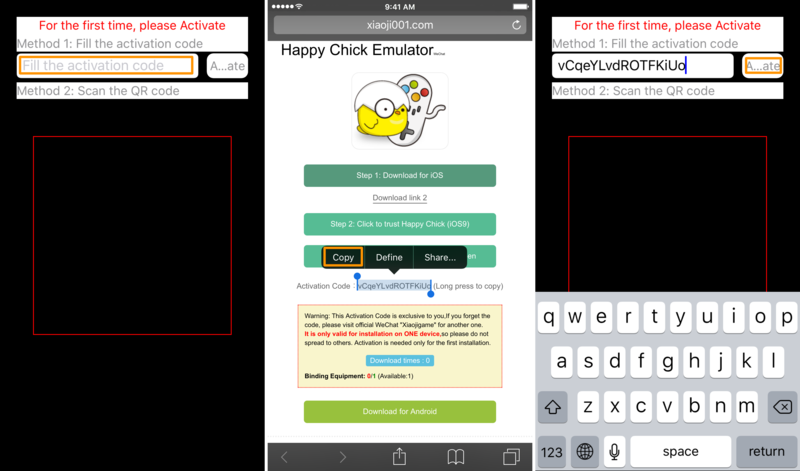 16) Now return to the Happy Chicks app and paste that verification code into the text field and tap on the Activate button just to the right of the text field. 17) You should now be able to start searching the app. You can search for titles you own, or you can browse by category. 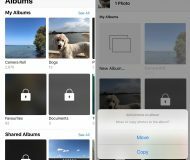 Installing enterprise certificates is one way that an iOS device can be infected with malware or taken over by hackers. 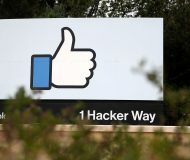 It’s because you’re trusting a side-loaded app that is installed on your device without the approval of Apple or the App Store, and there’s no telling what kinds of programmatic code may be lurking in the app. Although we think this emulator is safe for use, we can’t make any guarantees, so you will have to do this at your own risk if you have the desire to play emulated games on your iOS devices. Since the app requires use of WeChat, which in itself requires use of a phone number, you will have to set up a WeChat account for each device, which means you’ll need more than one mobile phone number. For this reason, I suggest you choose carefully on what device you’re planning to use your emulator app on. The activation code that we used in our screenshots could only be used once, and the case will be the same for you when you follow these steps, so don’t bother trying to share your code or try using it on multiple devices, because it won’t work. Emulator games will run smoothly on just about all of Apple’s latest 64-bit devices with a steady 50-60 frames per second. 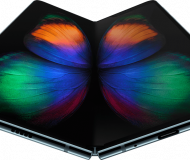 Obviously, this depends on the game and the device, but Apple’s iPhone 6s or iPad Pro will run games with butter-smooth fluidity with no questions asked. With that being said, the only thing you really have to worry about is whether or not controls have been ported nicely to the touch screen or not. 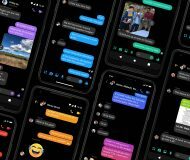 Best of all, because it doesn’t require a jailbreak to use, you can install it on any of your iOS 9 devices, whether it’s a jailbreakable firmware or not. This includes iOS 9.3 beta. If you change your mind on using it, you can delete the emulator app at any time to remove it and its games from your device. If you’re looking for an emulator app that’s easy to install and doesn’t require a jailbreak to use, then the Xaiojigame WeChat method is a great way to look. 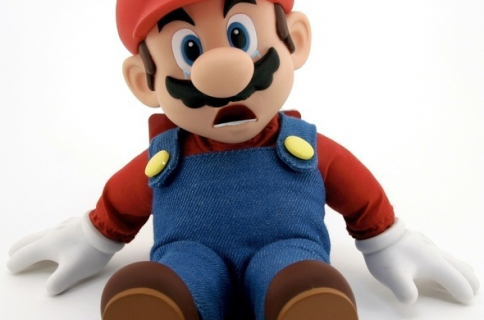 As always, we don’t condone piracy, so we suggest you don’t use any games with the emulator software that don’t belong to you. Did you find this tutorial helpful? If so, let us know in the comments below.